We are delighted that your son or daughter is considering Christopher Newport University for the next phase of their life and education. As CNU alums from the class of 2005, we already know all the reasons you’ve fallen in love with the place! We vividly remember our first few weeks at CNU - the excitement of setting up our rooms, attending our first classes, meeting our roommates and beginning friendships (many of which have lasted for years to come). While we adjusted to college rather easily, it was not lost on us that the transition for our parents stirred up fear and worry on the inside—just as much as it was full of pride and excitement on the outside. After all, the college campus is place of transition - a place where many young adults make decisions and choices that play a role in their identity for the rest of their life. 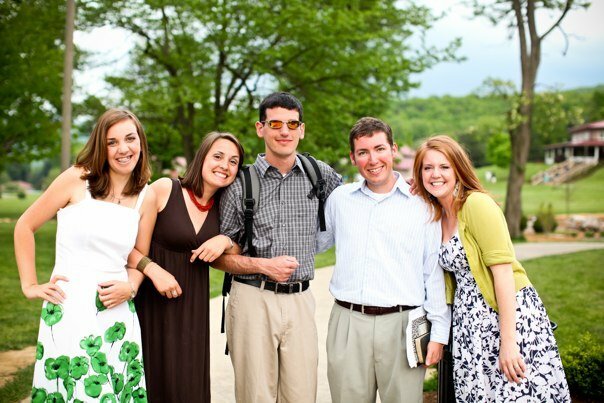 At InterVarsity, we care about your child's whole person as they enter the university. We long to be a place where students can interact with the Scriptures and see themselves in the story of God redeeming people, forgiving them, and bringing them to new life. But part of that new life involves seeing every part of life as God’s - not just the explicitly spiritual parts. We don’t just want to be a place that gives your son or daughter helpful advice and guides them away from destructive choices. We want to see people who are far from Jesus begin the journey of following Him, and see students that already follow Him grow in their understanding and commitment. We firmly believe that being a disciple of Jesus affects every aspect of our lives. We desire for the Gospel to bring redemption and change to not just the next 4 years of your child’s life, but the next 40 and beyond. Hopefully this letter has given you a taste of our role on CNU's campus and helped to ease some of the tension you may feel as your child enters the college years. If you have any more comments, questions, or concerns, shoot us a quick e-mail. We would love to talk to you and get your son/daughter connected with a current student.